The twit is in the desert giving you gamers blow by blow vika vs ree ..
Just as I expected!! Great shots. Amazing winners. A match between 2 top, hard hitting players as it should be. It could have easily gone 3-set. Serena still looking for her first serves. Had only 2 good serving games the entire match. But was competing as if slam #24 was at stake. I would love to see the stats. With age, I don't expect her to cover the court side to side. She just couldn't get there but she still got the returns, the angles, and the devastating first serves the few times they landed. And as I predicted, the embrace at the end was as good as the match. Congrat ladies. Thanks for a great show !!!!!!!!!!!! Yes, great match which was finals caliber. Both have to raise their ranking so this early matching doesn't happen again. Like I said before: Draw Gods don't like Vika ~ Probably because she spanked and ripped Pova from #1, LOL!! It’s all done ? And ree won sorry vika I fallen sleep. Thanks for the great show, Serena. Let's stay at that level.. But you got to find your first serves. The few that went in were devastating.. Got to bring a whole basket of them to Make WTA Great Again !!! Owl-on-speed;81240573 wrote: All the love for Vika in this thread. It has been a long time I've seen so many glowing reviews about her game. So glad I was wrong about my prediction of an easy beatdown. The hightlights look delicious. But Vika in her presser: 'I keep playing for the challenges. If it's easy or boring I don't wanna play.' 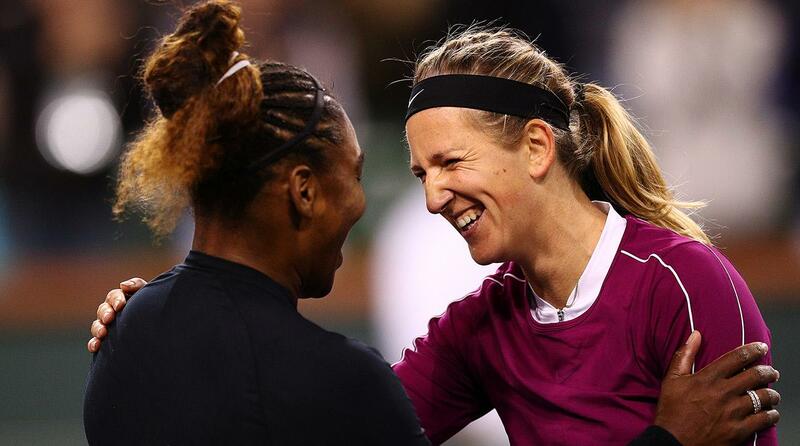 No Vika you also have to play those 'easy' matches! And maybe winning them sometime. lol lol.. Just say Serena brings the best out of me.